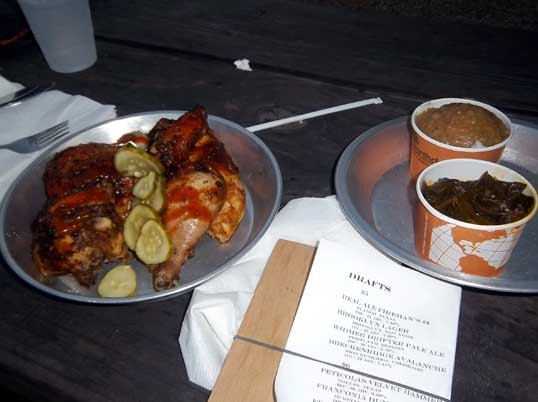 I always have a tickle in the back of my head for jerked chicken – the Jamaican dish. The best jerk I had was in Key West – I remember it like it was yesterday. At least I remember the chicken – I have no idea what the name of the restaurant was. We were walking down Duval, back to our hotel, and it was late, very late… late even for Key West. But Candy and the kids were hungry so we ducked into the first restaurant we saw and sat down. The prices were a bit high for a late-night snack, but this was Key West and nothing comes cheap when it has to be hauled out to that island. I looked at the menu and my eyes fell on the Jerked Chicken. I was a bit stunned when it arrived. It was an entire chicken – the whole thing. It had been expertly knifed (I have seen chefs do this on TV since) so that it was still whole, though boneless. It was flattened, dredged in jerk spices and then grilled expertly. I didn’t think I could eat the whole thing – but it was so delicious I couldn’t help but soldier through. I’m pretty sure that I didn’t sleep at all that night, but it was worth it. You never remember the pain as much as the pleasure. When we actually went to Jamaica I wanted to get some authentic jerk but never pulled it off. We were only there for a day on a cruise. My idea was to somehow get to a jerk stand out on a highway somewhere – a place where the locals ate. But on a cruise shore excursion the time is short and the forces are allayed against you doing what you want to do. The kids went up in the mountains to do a zipline thing and they were served some jerk chicken. The said that it was from a shack and the chickens were all running around a pen behind the place. It must have been great – I was so jealous. Nick and I did have a little time and a little cash to spare before the ship sailed so we hired a cab to drive us into Montego Bay for some exploring on our own. I had planned on having the driver take us to a place that he knew about where we could get some food, but we spent all our money and most of our time in the city and barely made the boat before departure time. 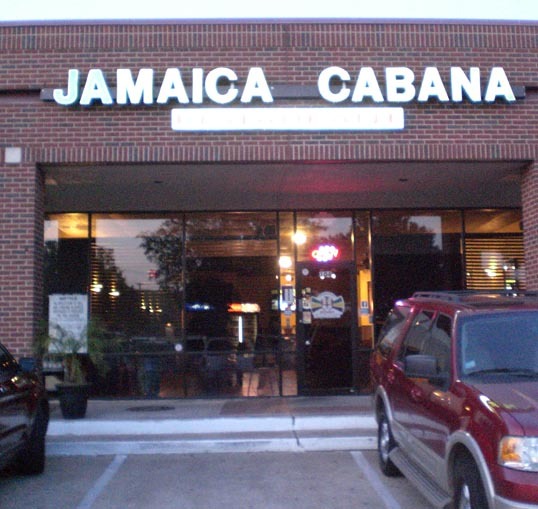 But in the meantime I discovered by reading a local blog that there was a new Jamaican Restaurant, The Jamaica Cabana that opened up only couple miles or so north of where we live. The blog made the place look great – so I made a point of trying to get up there. It took longer than I wanted – but Nick and I had an evening free so we drove to the place for dinner. The parking lot was packed with people eating at a crowded local Tex-Mex emporium, while The Jamaica Cabana was mostly empty. I simply can’t understand the desire to gobble down mild cheddar cheese enchiladas covered in Hormel Chili perched between a puddle of bland rice and a pile of lard larded mashed pintos. Try something new, folks. Free your mind. The menu was full of great looking stuff – but I couldn’t resist ordering the Jerk Chicken. 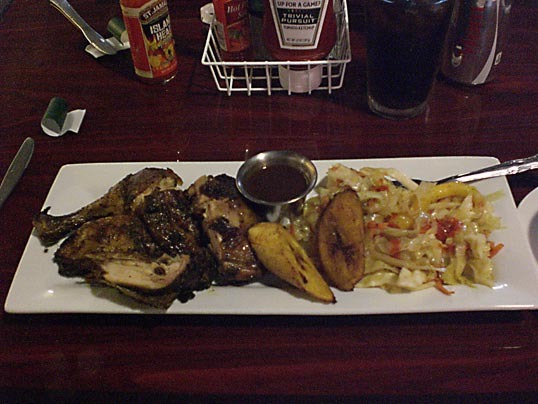 The chicken came with vegetables and plantains – I love plantains. One the side were what the menu described as “rice with peas” – though it was actually rice and beans. The food was fabulous and the owner very friendly. There were two bottles of very hot Jamaican sauce on the table – be careful, they are of the “delayed reaction” heat. Cool for me, if dinner doesn’t make the top of my head sweat, it isn’t spicy enough. Now I have to go back and explore the rest of that menu…. I hate to admit it – but I’ve already seen almost all of these. 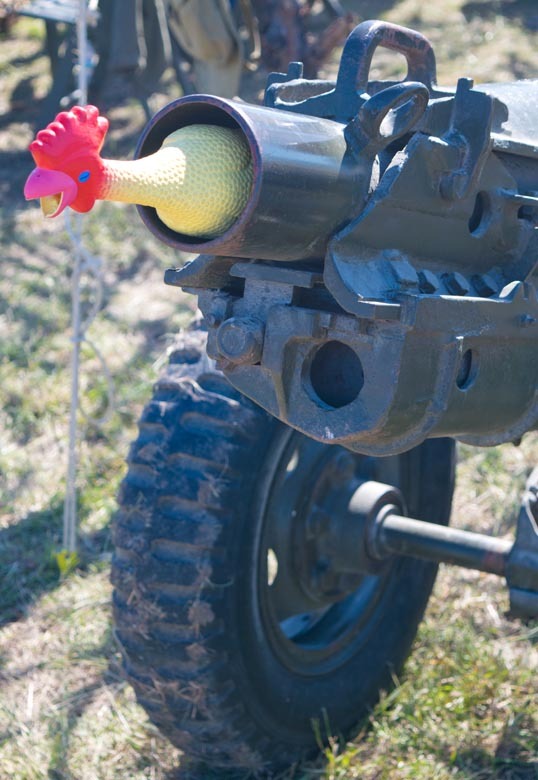 Well, except for Poultrygeist: Night of the Chicken Dead –Troma Baby! I regularly go to three of these: White Rock, Pearl Cup, and Espumoso… and have eaten at Oddfellows (didn’t have the coffee). As far as coffee goes, I don’t drink espresso much anymore – I prefer French Press. Have to try out some all of the others. Any advice… or anyone wants to meet at one, get with me. As far as a place not on the list… let’s see… if they are going to put a “more resturant than coffee spot” place like Oddfellows on there, how can they leave off Cafe Brazil? Yesterday “Skyfall,” Adele’s theme song to the upcoming James Bond film of the same name, was officially released, and it’s a doozy. 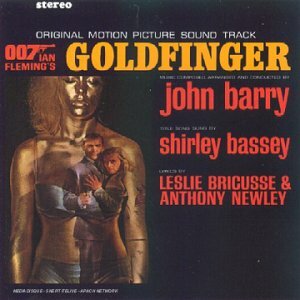 The song is the latest in a long line of fantastic tracks from the series; Bond music is just as iconic and essential to the series as 007’s sharp suits and cool cars are. Here are the 10 best James Bond themes—so good, they’ll leave you shaken AND stirred. Big Mama’s… before the fire. Sad news. I am watching what I eat (am down about 30 pounds) and haven’t been consuming this sort of thing lately, but still – I was sad to see that Big Mama’s Chicken and Waffles has burned and is probably out of business. The coolest part of the Dallas metroplex- the place with the hottest scene right now – is Oak Cliff. I am so happy about that – for decades I’ve loved that part of town and am happy to see that it is finally starting to have its place in the sun. There is the Bishop Arts District already well-established and now to the north, the area that the new Margaret Hunt Hill Bridge is serving looks poised for a new Renaissance. When we were coming back from the Belmont not too long ago I noticed some construction going on along Fort Worth Avenue – about a long block east of the hotel. Looking it up I discovered it was a complex started by the folks that gave us Smoke – and it was a combination beer-garden style bar and a restaurant. The bar was “The Foundry” and the restaurant “Chicken Scratch.” I put a visit to that place on my list of things to do. Then, this week, I noticed that Holt and Stockslager would be bringing their Simon and Garfunkle tribute stylings to The Foundry stage on Friday night. I had seen them first downtown at one of the Patio Sessions and had loved their show. We also saw them at the Dallas Zoo when they warmed up for A Hard Night’s Day. I was up for a third show. 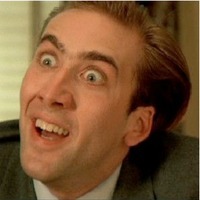 I looked up the address for The Foundry on Googlemaps and saw pictures of a big sprawling auto repair business. When we drove over I was impressed to see the transformation. 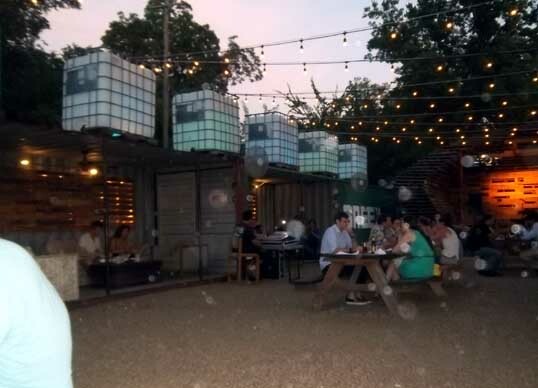 It’s a huge space, made with repurposed shipping containers. Giant bulk fluid containers sit up on the roof, lit from within at night to give a colorful techno-retro glow. There’s plenty of seating, from the air-conditioned bar, to lines of picnic tables, to old couches under the tin roof. It’s an interesting place, lots to do, and a lot of attention to detail. It was warm, but the once the sun set it was comfortable enough. The place is lousy with fans and misters to fight back the summer heat. We picked up some rotisserie chicken at Chicken Scratch – I was happy to see they offer Collard Greens as a side. The food was really good – they also offer fried chicken if that is more your style. The bar is not a hip martini mixology joint – but their beer selection is impressive and delicious. We sat at a picnic table shared with Holt and Stockslager. Not too many music venues let you eat chicken with the talent before the show. Holt and Stockslager did not disappoint. 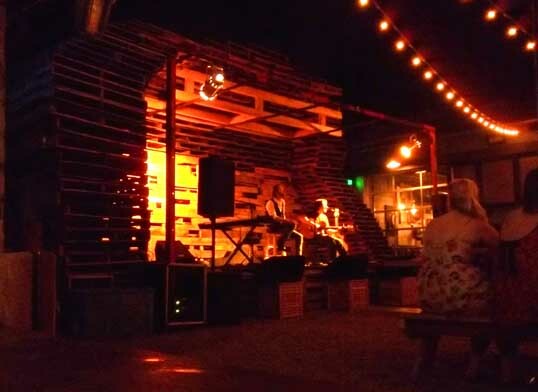 I love the stage -built out of old wooden pallets arranged into a big oval cave. The crowd was talkative – the beer-garden atmosphere lends itself to socializing. It would be a great place to go with a big group. Still, looking around, I saw a few folks that were there for the music, mouthing the words to the familiar tunes. Interesting construction from recycled materials. Our chicken, my collard greens, and Candy’s mashed potatoes. Oh, and the all-important beer list. Holt and Stockslager singing away. On Sunday we met some friends for a late lunch and to exchange holiday gifts. They live on the opposite side of the Metroplex, so Candy chose a casual restaurant about halfway in between. She decided on Babe’s Chicken Dinner House in Carrollton. 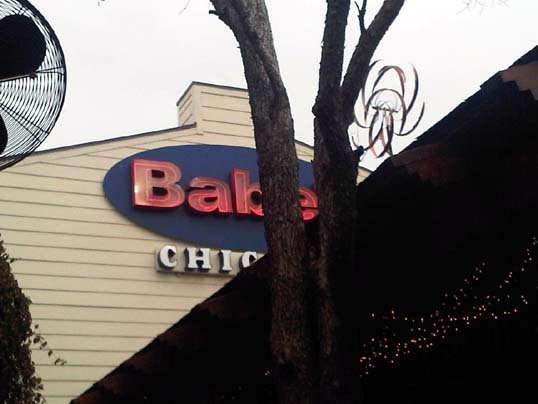 There are Babe’s restaurants all over the place. One is only a couple miles from our house, in Garland. I first ate there in August of 2000 and wrote about it in my online journal. Today, Candy took Nick out for his birthday dinner, a day late. Lee didn’t want to go and headed over to a friend’s house, Nicholas (of course) didn’t mind. Candy called me at work when they left home and I drove to meet them. The place isn’t far from my work. It is Nicholas’ favorite restaurant. It is called Babe’s Chicken Dinner House. It could be a joke, a satire on everything Texan – except it is serious. 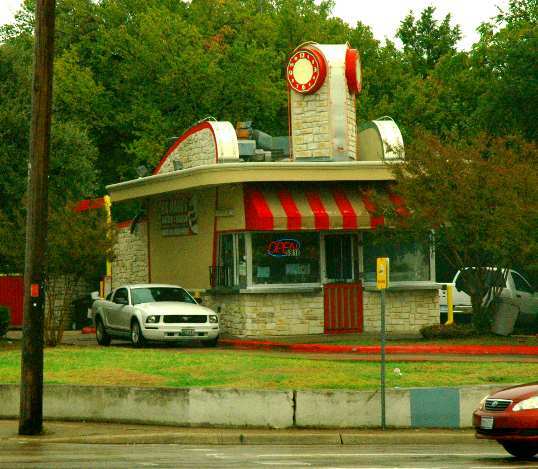 The place is located in a run-down strip center in northern Garland. It shares the NorthStar Center with the Mu Do Martial Arts Academy, the Celebration Bible Church, Second Look Beauty Supply, the Begin Again Thrift Store, a handful of vacant storefronts, and three different burger joints. I arrived before Nick and Candy so I sat awhile outside, enjoying the sultry evening with the day’s heat reradiating off the partially melted asphalt in the parking lot. They have a row of chairs out front, some made from old steel tractor seats crudely welded to triangles of rebar. A cable runs through them all to discourage theft. A surprisingly powerful outdoor speaker blared out Elvis (Kentucky Rain) and Willie Nelson (an odd version of Deep in the Heart of Texas). I didn’t have to wait long before Candy and Nick arrived and we went in and ordered. The menu is simple: Fried Chicken, Chicken Fried Steak, Pork Ribs, Pot Roast, Fried Catfish. You get a huge serving of meat and unlimited sides. They keep bringing and bringing, tray after tray. Massive bowls of mashed potatoes, biscuits, heavy cream gravy, creamed corn, stewed tomatoes and okra, green beans, that sort of thing. “I’ll have a few Jalepenos,” I replied. The waitresses are young voluptuous local girls in impossibly tight jeans or older battleaxes that look like they’ve been rode hard and put up wet too many times. They all have that tough down-home serious look about them. So do the customers. All stiff, proper, not-too-well-off folk. Mostly families. Everybody looks hungry. One large table was full of burly firefighters, all in blue shirts and burr haircuts. A huge ladder truck and ambulance were parked outside. Even more bizarre signs adorn various dead animals stuck on the wall here and there. A stuffed Raccoon is inexplicably labeled, “Just say NO to raccoon.” An armadillo is spray painted gold and boasts, “Roadkill Only.” A swordfish has been painted black and white, spotted like a cow, mounted above a piece of plywood that says, “No sushi.” I guess all this is supposed to improve the appetite. Nick loves the place. He had the child’s plate – only a chicken leg. He ate the side dishes like a lumberjack, though. Mostly the creamed corn and the biscuits. In the center of the restaurant is a massive display case filled with huge pies. Lemon, chocolate, coconut cream. The meringue flows across the top like a toasted ocean – tan peaks flicking pointed into the valley far below. I was so stuffed I couldn’t even look at them. Now I feel sick. There is no way I can go into that place and not eat too much. No way. Near the exit a small plastic pet carrier sits on a pedestal. “Babe’s Groundhog,” is spray painted on it, along with warning not to feed the groundhog, to keep your fingers away, that sort of thing. On the way out I couldn’t help but look inside. Nestled in a nice little bed of hay is a tube of Owen’s Sausage. Ground-Hog… Get it? Many things have changed greatly in the almost-a-dozen years since I wrote that. Many things have changed greatly. Babe’s Chicken Dinner House is not one of them. Only a few details around the edges – the crowd is now much more diverse – the Metroplex is more of a worldly Cosmopolitan place now. 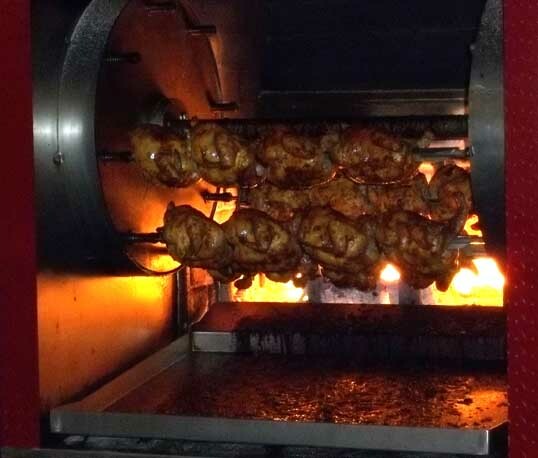 The menu has added smoked chicken, so it is a little bit healthier. The restaurant in Carrollton is a bit more upscale than the one in Garland – it’s an interesting architectural hodgepodge built from an old lumber yard and chicken coop with a nice patio that holds a giant firepit sort of place to sit around, watch some wood burn, and choke on the smoke. It is trimmed out in raw cedar posts – which are beautiful and unique. The humor is as tacky, though – on the ceiling over our table was painted a huge blue oval, with duck feet, bottoms, and a few duck heads poking down through the blue. The idea was that we were sitting under a pond and these ducks were swimming around on top of the ceiling, peering down through the water at us. I guess…. One interesting thing about that old journal entry was that it would always get a huge number of search engine hits. I had a good stats server then and I discovered that those searches were all coming from Norman, Oklahoma. Apparently Oklahoma University students loved to eat at Babe’s when they came to the Big D for the Texas-OU game. I guess…. So I had the smoked chicken, but ate too many mashed potatoes – so I ate ’til I was sick. We all sat around the fire pit and talked, until my winter cold congestion revolted against the woodsmoke and I had to beat a hasty retreat into the fresh air so I could breathe. 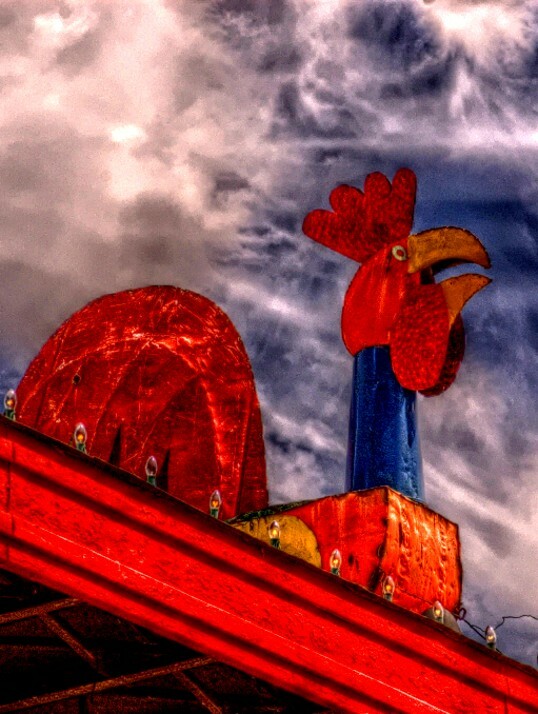 So I wave goodbye to Babe’s Chicken Dinner House for another year. I feel sure it will be back again next year… as delicious and tacky as ever. 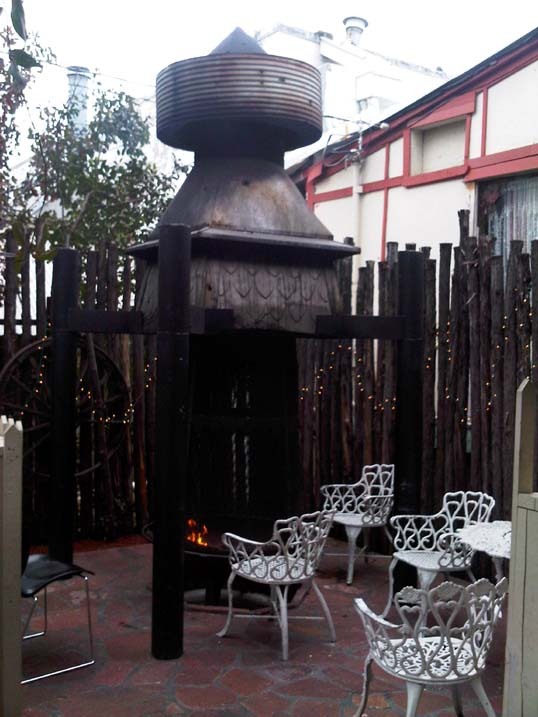 The odd fire pit outside at Babe's Chicken Dinner House in Carrollton, Texas. It wasn’t very long ago that I had some gourmet Chicken and Waffles from the City Street Grille Food Truck. I ate it and it was good. But it left me with a powerful hankering. I wanted some real chicken and waffles. I wanted some of Big Mama’s Chicken and Waffles. I had been driving by the spot – a long abandoned drive through burger joint on a shady corner of the diciest intersection in my section of the city – but I had never actually stopped by. Now it was about time. Big Mama's Chicken and Waffles. Does anybody know what this building used to be? It was a drive-through burger joint in the ancient past - but I don't know which one. I'd love to know. I had to drive past the place and do a U-turn at an apartment complex to get into the drive-through. As I went through the intersection, the smell hit me. The wonderful smell of fryers and soul food. It floated through the neighborhood like a greasy cloud of deliciousness. The miasma of saturated fat was enough to give you coronary artery disease before you ever pulled up to the barred ordering window… but who wants to live forever? There are several things that separate a place like Big Mama’s from the vast conspiracy of corporate franchise clone grease-heaving locations. The prices on the board include tax. It said five-fifty, it cost five-fifty. 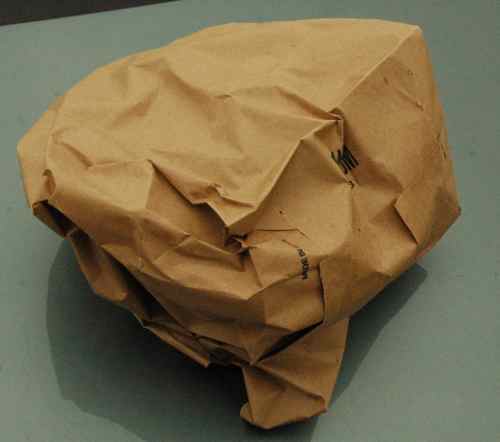 Your order comes in a plain brown paper sack. This adds a subtle flavor, in addition to the visual appeal of grease soaking through brown paper. Heavy black iron bars welded on the drive-through and walk-up windows. Friendly, human service by people that give a damn. I paid my cash and collected my brown paper bag. There were two little metal tables on site, perched over a muddy drop down to a stagnant creek hidden back in a thick stand of trees, but I had some errands to run so off I went, eventually gulping my meal down in another parking lot. You know something is good when it is delivered in a plain brown wrapper. There is something terribly primitive about eating fried chicken in a car. The food was great. The chicken spicy, but not too much. The waffle was big, soft, and waffle-y. They drop little tubs of Country Crock and Chef’s Quality Breakfast Syrup into the bag. There’s no way to keep from getting a little sweet syrup on the chicken… and that’s a good thing. 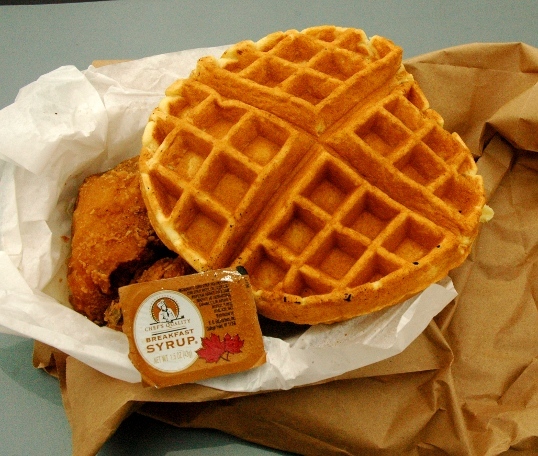 If you don’t know any better, you might be a bit confused by the combination of Chicken and Waffles. Get over it. Waffles and Fried Chicken go together like grits and greens. Big Mamas Chicken and Waffles. Three pieces chicken with waffle.